Offset fixed handle prevents load shifting or swinging. 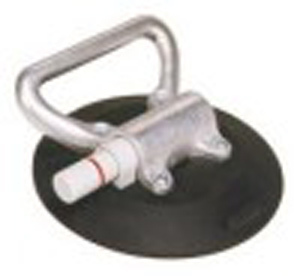 Attaches to flat or curved surfaces up to 70 LBS. Red-line indicater warns user of loss of vacume.